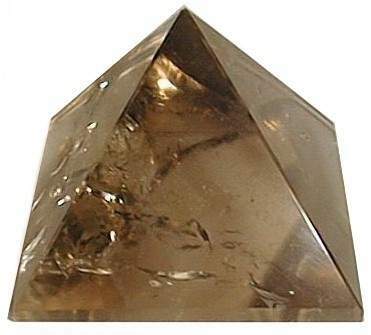 Excellent color, Smoky Quartz Crystal pyramids from Brazil, have very minor inclusions which reflect amazing rainbow lights. Smoky Quartz has a gentle yet intense clearing quality that helps dissolve habitual negative thoughts and feelings which can poison daily life. Beautifully polished and finished with no cracks, hand carved Smoky Quartz pyramids from Brazil.